The benefits of living in a condo are endless. Remarkable amenities and a high walk score are simply, and easily, two of the highly sought-after requests by condo home owners and seekers. If you live in the Kitchener-Waterloo, Hamilton, Dundas, Cambridge or Guelph areas, especially downtown, you just might be missing something extremely useful and precious- SPACE. Larger units still exist but are slowly being reduced in pre-constructed projects. Getting your hands on a one bedroom 1200+ sq.ft unit are few and far between and are generally accompanied with a pretty hefty price tag. Garry Marr went on to say that condo developers seem to have adopted a philosophy of shrinking units until they can meet consumer budgets and bite-sized investor appetite. Condominium sizes have been shrinking for the past decade, at least up until the past two years. So how do you live in a smaller space without compromising your creativity and lifestyle? 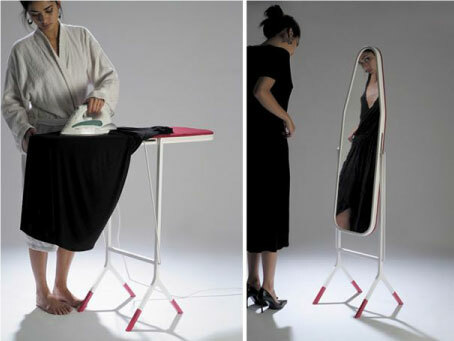 It’s simple: make everything as multi-functional as possible! And we’ve selected 5 space saving ideas from two awesome articles that highlights different (and unexpected) ways to save space in your teeny-tiny home. If you like what we’ve shared, check out the rest by clicking the source link at the end of this blog. Alright, let’s rock n roll! 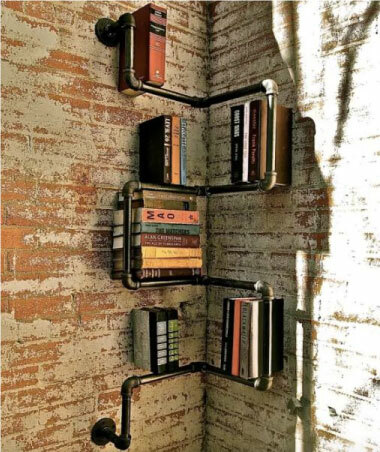 #5: Storage That Won’t Hide That Killer Exposed Brick Wall You Scored When you have a beautiful, architectural feature like an exposed brick wall, you don't want to cover it up with some bulky shelving. This is a simple and cheap solution. 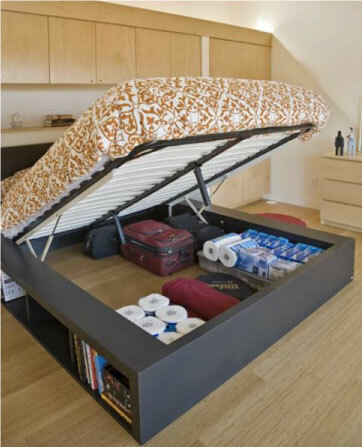 #4: No Monsters Here The MASSIVE amount of space under your bed can (and should) be as functional as possible. Shoving things under a conventional bed usually means you'll never see it again. This kind of bed is a fantastic solution to this age-old problem. 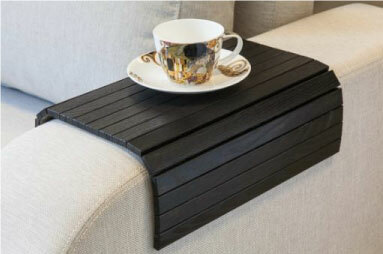 #3: Get This And Eliminate A Whole Table A side table is necessary for all sorts of reasons. This takes care of most of those and takes up no space. 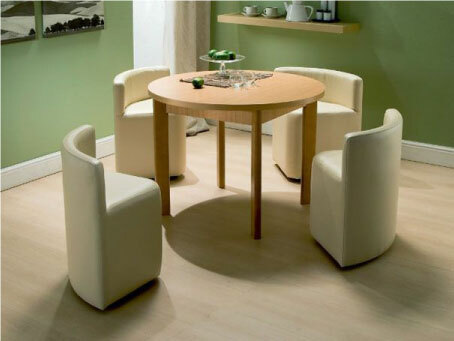 #1: Dining table and chairs We spend most of our time in our living rooms, so saving any sort of space is a must! No sacrifice here! 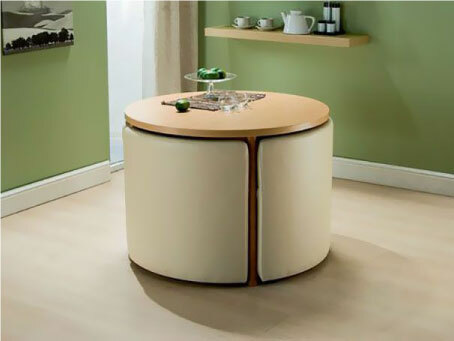 This dining set is super convenient while keeping its design on point with or without the use of the chairs.